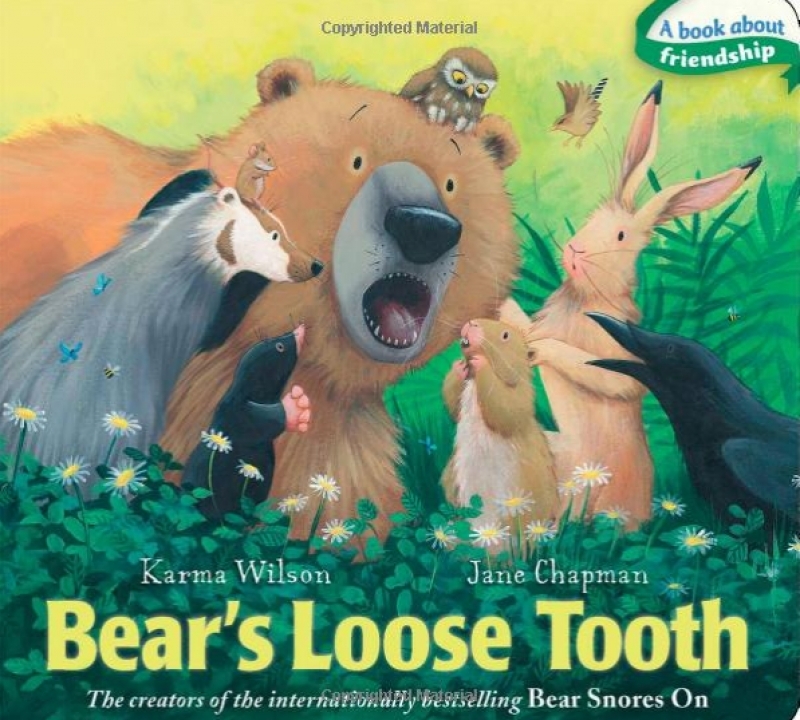 In the book Bear's Loose Tooth, by Karma Wilson, Bear's friends help him remain calm when he realizes that he has a loose tooth! One day while Bear and his friends are munching away on their lunches, Bear suddenly feels something wiggling and wobbling in his mouth, and discovers it’s his first loose tooth! Bear is a little apprehensive about this new development, but luckily, he has his friends there to help put his mind at ease. Bear’s friends help him understand that losing baby teeth is perfectly normal, and that his wiggly, wobbly tooth is nothing to be alarmed about. 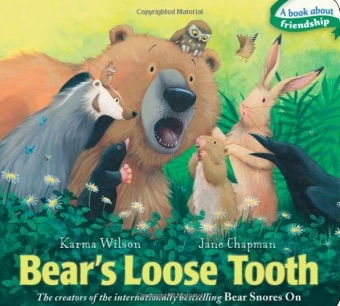 Bear’s Loose Tooth is a reassuring story designed to help prepare children for when their baby teeth begin to fall out. Pick up a copy and read it with your kids soon!